Create wonderful Mediterranean dishes in your kitchen by using a range of delicious and colourful vegetables. Mediterranean vegetables are flavourful, sun-ripened vegetables and are the heart of many wonderful dishes from France, Greece, Italy and Spain. 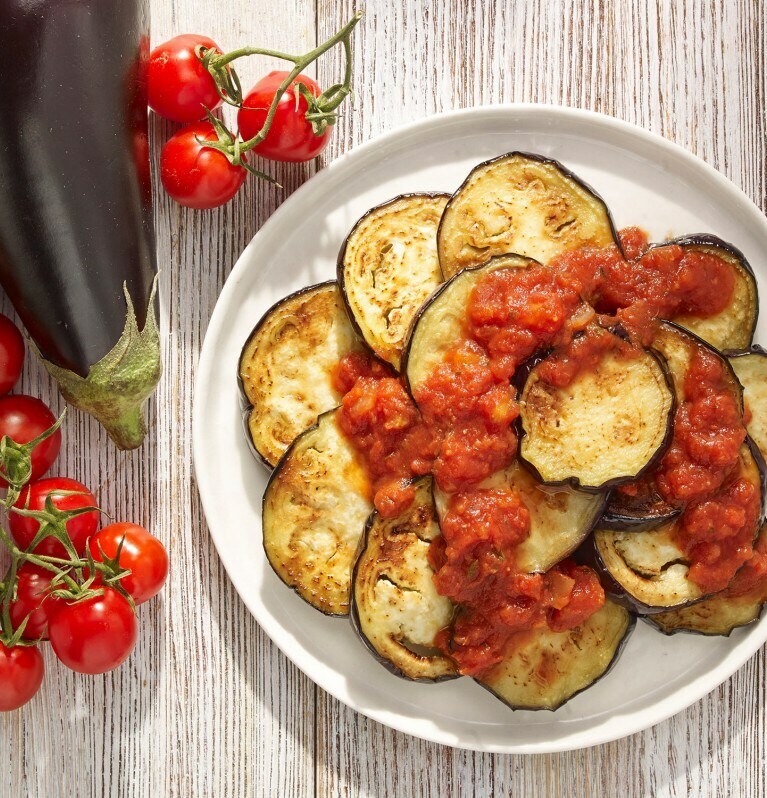 Eggplant: These striking purple-skinned vegetables have a great texture and add wonderful flavour to a range of dishes including pasta sauces and hearty stews. Salting eggplant slices, then rinsing and patting before frying helps to remove bitterness. Furthermore, as it removes excess moisture it helps to cut down on the amount of oil they absorb when fried. Zucchini: This often rather overlooked vegetable has a very mild flavour, which makes it an excellent partner for other, more flavourful ingredients. Try these Zucchini Rice Cakes or this Cheesy Chicken Pasta Recipe with Zucchini & Spinach.If you want to allow zucchini to shine in its own right, try slicing them finely lengthways and grill them either on a grill pan or the barbecue. This really brings out their flavour. Artichoke: Yes, these great, green vegetables do look rather daunting; after all they hide their soft, edible hearts inside a casing of tough outer leaves. For a more convenient way to enjoy artichokes you can buy artichoke hearts in oil, so that all the hard work of preparing them has been done for you! Serve these as part of an antipasto platter or chop them up and add them to tuna, mayonnaise, pasta salads, pasta sauces or risotto. They have a great, subtle flavour and a little goes a long way. Red Capsicum: With their striking red colour and full, sweet flavour, red capsicums are a great way to brightening up a dish both visually and in terms of taste. You can also roast red capsicums in order to soften them and bring out their sweetness. To do this, pre-heat your grill or your oven to high, pierce a capsicum with a skewer (to make it easier to turn it) and roast until charred on all sides. Once charred, carefully place in a plastic bag and set aside; the steam will help the skin come off the flesh, making it much easier to peel. Once cooled, peel the capsicum and chop. Use in pasta sauces, roast vegetable salads, or in fish or chicken dishes. Why not try this Pasta with Mushrooms & Roasted Capsicum Recipe. Tomatoes: What would we do without tomatoes? Home-made tomato sauce is always a winner and so versatile to use in a number of dishes. Try adding a Continental Vegetable Stock Pot for exta flavour and then use your home-made sauce to make family favourites like Lasagne or Spaghetti with Meatballs. In summertime, use ripe, tasty tomatoes in a simple salad – sliced and sprinkled with a touch of good olive oil and lemon juice, a few shredded basil leaves and freshly ground pepper.